This months meeting for March will be held between 1pm and 2pm following the entertainment for the Celebrate the Sea Festival! 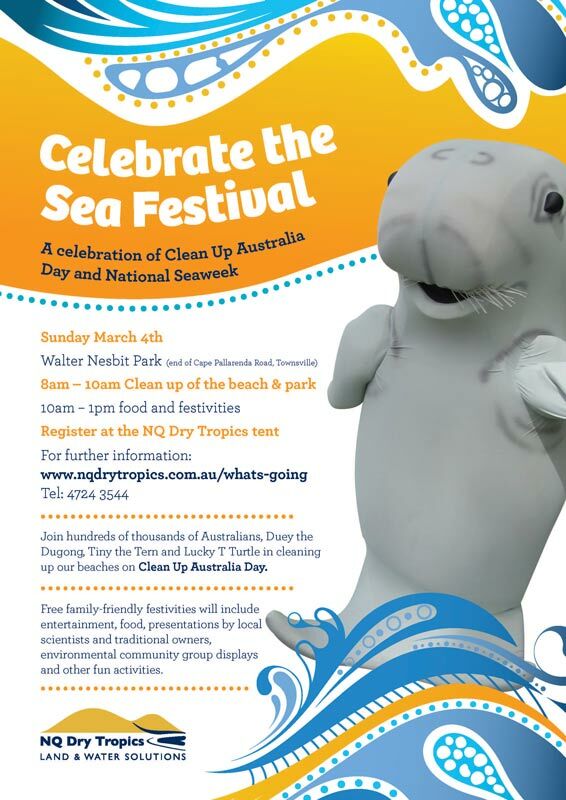 Beach and Park clean up will ignite all of the earth and sea lovers for Clean up Australia Day between 8 and 10am. Entertainment, food and presentations will be enjoyed during 10 and 1pm with our quick MEETING STARTING at 1pm till 2pm. There are a few exciting things we wish to share on the day, including; Raffle for ‘Organic Feast Basket’, Jay’s presentation on Urban Permaculture and the collaboration painting for the new “Permaculture Townsville’s Community Garden’ sign (to erect on site). Once again, we are looking forward to meeting up again and sharing Permaculture talk and the favorite plant raffle over scrumptious food together.